It will only take one glance at the Spellbound quilt for you to be completely captivated by its beauty and unique design! Each color placement has been carefully selected to keep your eyes and your mind working around the whole quilt! Each block is woven into the next, making a seamless blend of fabrics! 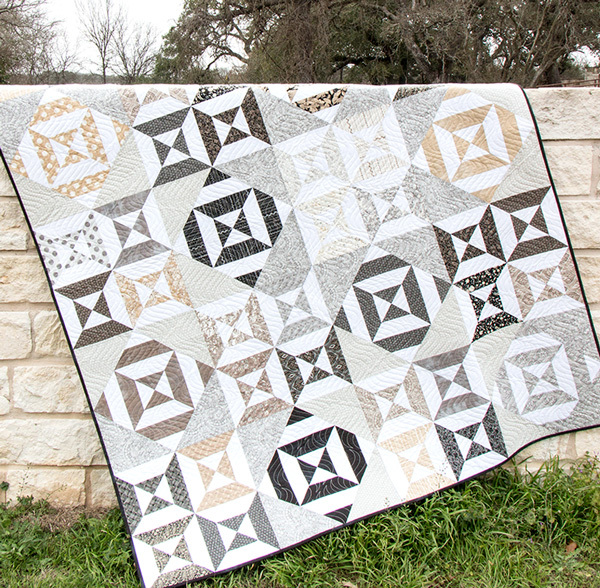 The Spellbound Quilt Kit features the brand-new Maven collection by BasicGrey for Moda Fabrics. This neutral-based collection is so fun and offers so many individual prints from polka dots, to grunge prints, to florals! If you're looking for a new collection with variety, Maven is perfect! 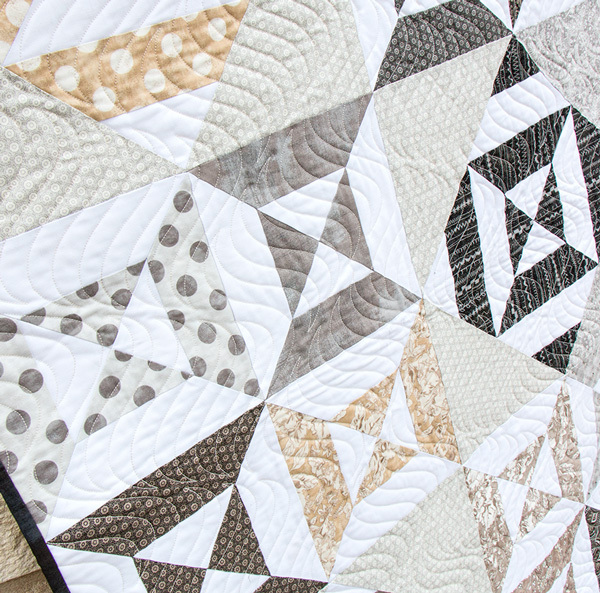 We love it for this Spellbound quilt for the variety and eye-catching detail that it brings to the hypnotizing design! Purchase your kit or your pattern, and grab your Creative Grids 90 Degree Double Strip Ruler and let's get started as Kimberly walks us through the pattern in this how-to video! Don't forget to subscribe to our YouTube channel for lots of new instructional videos!